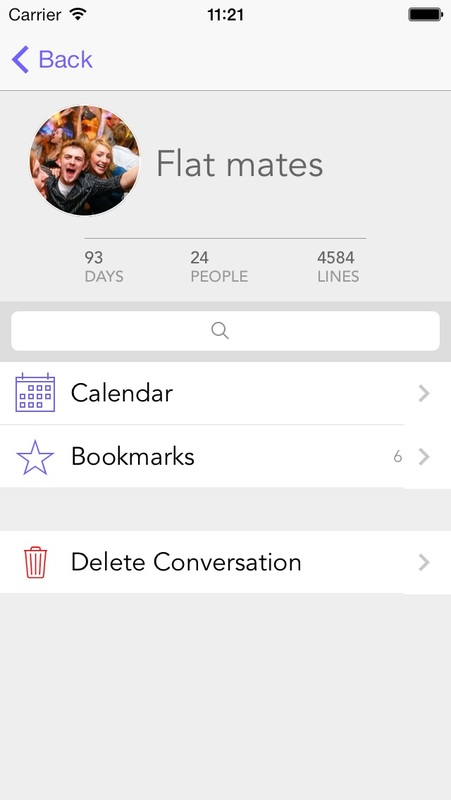 Save, search and browse your WhatsApp conversations. 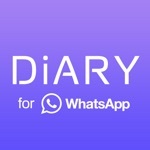 Diary for WhatsApp is the only app that lets you browse into a WhatsApp conversation day by day, search any text and bookmark your favorite conversations. 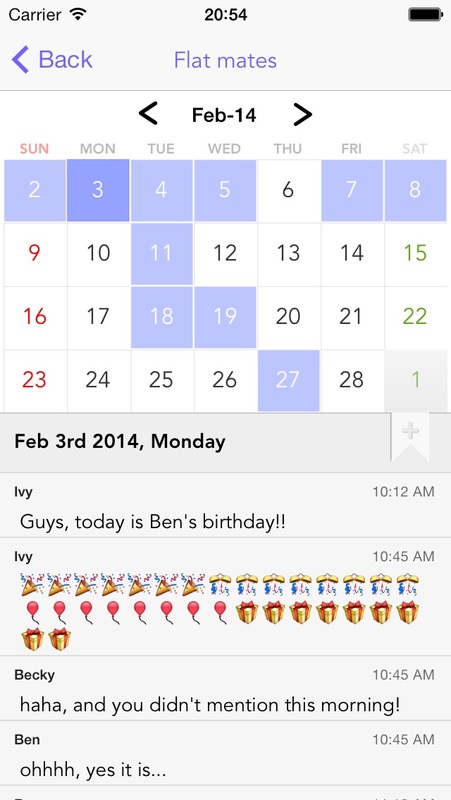 Use gestures over the calendar and the conversation lines to move to next and previous months or days. Import any WhatsApp conversation into Diary for WhatsApp, by sending it by e-mail and opening the attached file in Diary for WhatsApp. 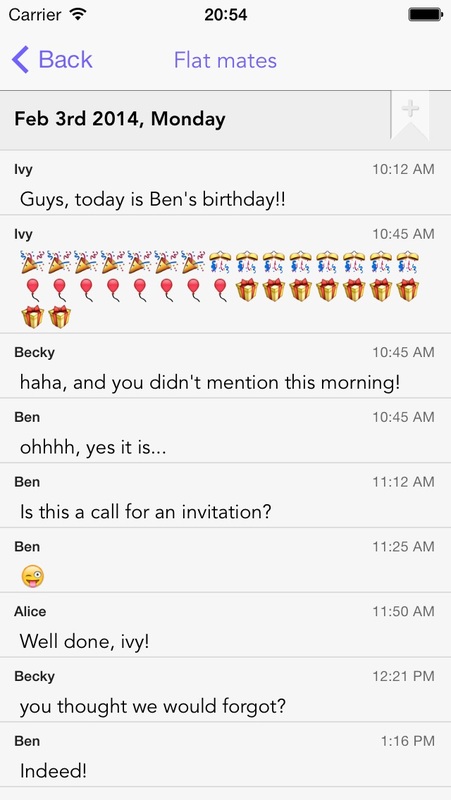 Update a conversation anytime by sending it again by e-mail and open it from your mail app. 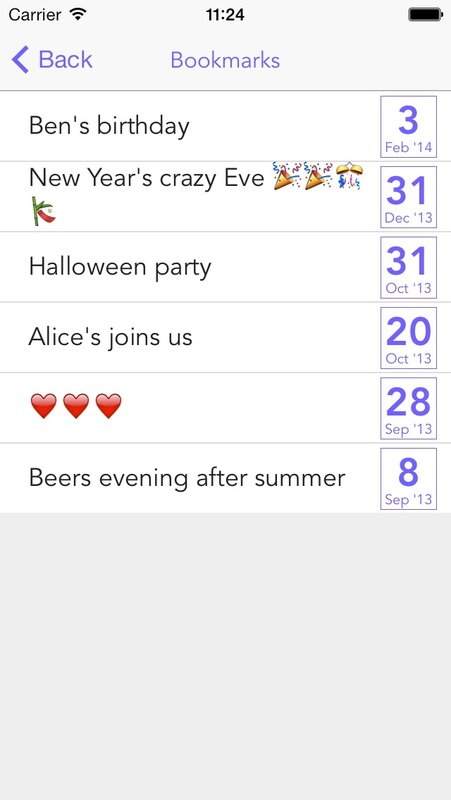 Diary for WhatsApp is not endorsed by nor has any business relationship with WhatsApp Inc.